Welcome, did you know Sunday 29 October is National Grandparents Day? Don't worry we've got your back with seven super homemade gift ideas. Also, no more battles in the bathroom with our strategies for successful tooth brushing. Granny and Grandad, Nan and Pop, Nonna and Nonno … Whatever they're called, grandparents are a big part of children's lives. They provide love, encouragement, care and wisdom; and any time is the perfect time to thank grandparents for their valuable contributions. So, whether it's Grandparents Day or just another day, here are some ways that kids can share the love. 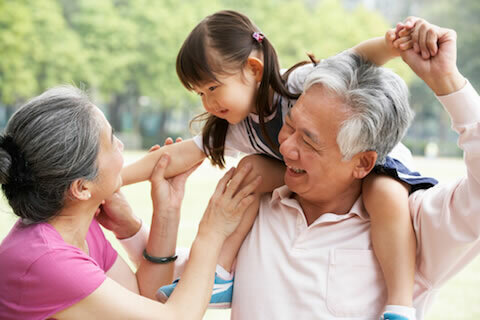 Kids can make grandparents feel special by asking them questions, sharing an activity, like cooking or reading, creating a family tree, writing to them or making a special gift. Speaking of special gifts, these easy kids' craft ideas will make a grandparent's day. Combining creativity with caring thoughts, here are seven projects that older family members will treasure. Personalised greeting card: Grandparents will love getting their hands on a '10 reasons you're the best!' card. Mailable hug: Trace around the child's head, shoulders and outstretched arms, cut out their 'paper cuddle' and pop it in the post. You Are My Sunshine photo gift: Stick pegs onto a cardboard circle and attach some gorgeous family photos to put a smile on a grandparent's dial. Colourful flower pot: Decorate a terracotta pot with handprints and foam letters, then plant something that will grow with the grandkids. Paper plate rosettes: There are no prizes for guessing how much grandparents will love receiving a 'Best Grandma' or 'Greatest Gramps' award! Personalised bookmark: Take one cute grandchild photo, cover it in contact, add a tassel and voila - an adorable keepsake for senior bookworms. Heart handprint canvas: With a touching quote and lots of little handprints, this artwork is a keeper for grandmas and grandpas. 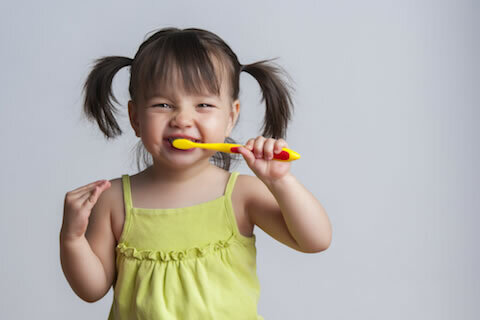 In a recent study of Australian parents, it was found that the majority of respondents said it is extremely or very important to make sure their children brush their teeth morning and night, or that they always usually do this (87.5 per cent and 88.2 per cent respectively). While these are promising stats, the truth is that motivating our little ones to brush their teeth isn't always easy. Teaching them about the importance of dental hygiene takes time, patience, and a whole lot of experimentation. To make the process easier, here are some simple to tips to encourage your child to get brushing.